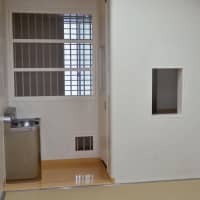 Police holding cells, where those who have been arrested spend time until they are formally charged with a crime, are beginning to evolve as awareness grows across the criminal justice system about human rights and the country’s increasingly diverse populace. As demographic changes lead police to process a growing number of elderly people, foreign nationals and sexual minorities who have fallen afoul of the law, facilities must meet a wider range of health and dietary needs and requirements of people with various gender identities. 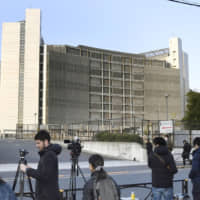 At a police station near Harajuku, the pop-culture hub in Tokyo’s Shibuya Ward, detention cells were built with individually partitioned toilets when the facility was moved to the current location nine years ago. Except for a window in the wall at around head-height when a person is seated on the toilet, the lavatory room looks just like one found in a home and is very different to the bare toilets seen in many detention cells. 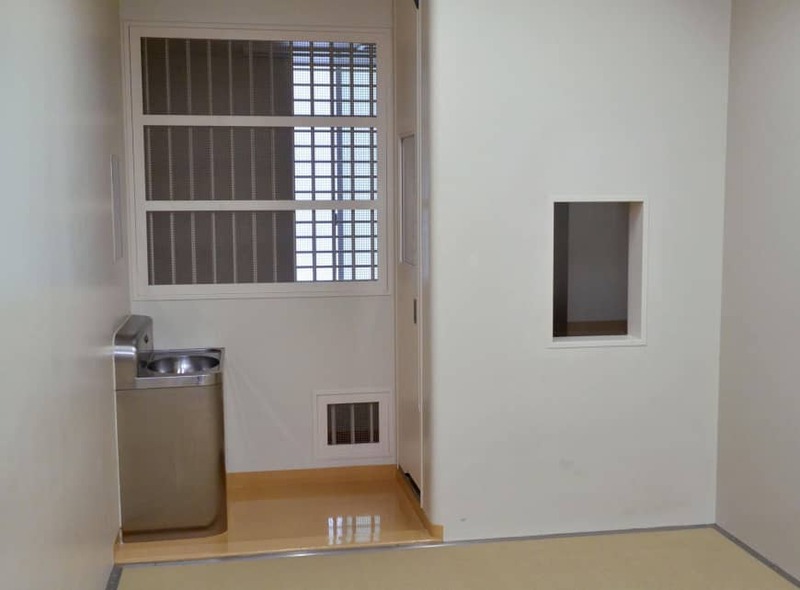 Another change was attaching mesh screens to the barred windows of the shared cells, each of which measures 13.6 square meters and was designed for use by up to five detainees. At the Nishigaoka satellite office of the MPD headquarters detention facility in Tokyo’s Kita Ward, Japan’s first wheelchair-accessible cell was set up in January 2017. Such steps are among the measures being adopted to cope with elderly detainees. The percentage of elderly people arrested and detained is increasing, according to the MPD. On average, suspects 65 and over have accounted for nearly 7 percent of the detainee population in the past five years, more than double the rate seen about 10 years ago. Officers are being called upon to look after elderly suspects’ medications and in some cases change their diapers. “Our work sometimes becomes like nursing, so we pay close attention to them,” an officer from the first detention administration division said. Another remarkable trend is the surge in foreign detainees. Of the 20,195 people held in 2017, 3,515, or 17.4 percent, were from outside of Japan, the MPD said. Police offer some meals prepared specifically for foreign detainees who abide by religion-mandated dietary restrictions. Consideration is also given to Muslims who fast for Ramadan and perform daily worship. In cases in which suspects in custody are LGBT minorities, private cells may be used. According to the 2018 Police White Paper, detention cells, whose main purpose is to prevent released suspects from destroying evidence or fleeing while they await indictment, are hosted in 1,140 police facilities in the country and hold about 8,600 detainees in custody on average per day. As a standard, detainees are each allotted 2.5 sq. meters of space in their shared police cells. Detainees are accompanied by guards daily when moving to be interrogated by police or prosecutors and are allowed to meet with their lawyers or receive books and clothing from family members, according to the MPD. Police are allowed by law to keep pretrial suspects in cells even after their cases have been sent to prosecutors, instead of moving them to detention centers under the jurisdiction of the Justice Ministry. Known as “substitute prisons,” the notorious system has long been criticized at home and abroad for giving police opportunities to coerce confessions or handle suspects roughly while they are under around-the-clock observation. Police moved responsibility for police cell management from its investigation department to the general affairs department, which is not directly involved in investigations, in 1980. But the practice of using substitute prisons is ongoing and continues as a means of facilitating criminal investigations. Most suspects remain in police custody until their criminal prosecution, which usually comes within 23 days of an arrest. In principle, once suspects are indicted they are transferred to detention centers, and if convicted, sent to prison. 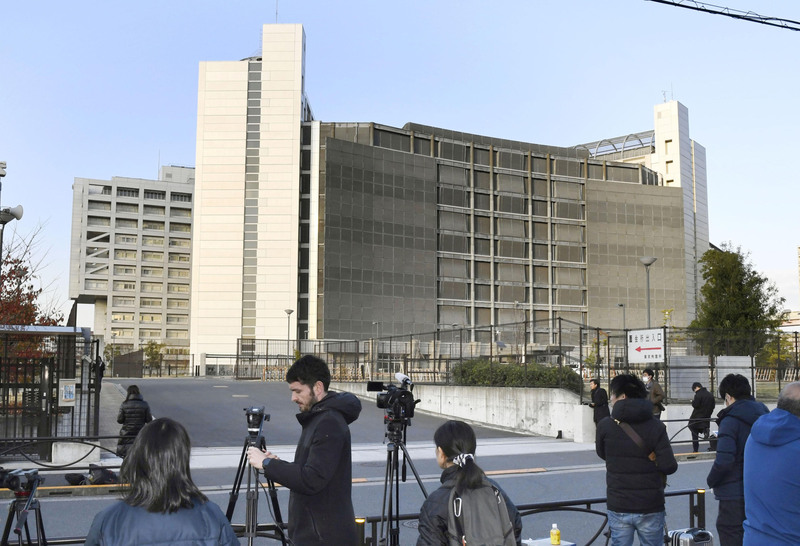 When prosecutors make an arrest, such as in the case of former Nissan Motor Co. Chairman Carlos Ghosn, who is being detained at the Tokyo Detention House for alleged misconduct in the reporting of his finances, suspects are held in detention centers from the start. MPD detention administration director Miura insisted police are more considerate under her watch. The fourth through seventh floors of the Harajuku station can potentially hold up to about 300 detainees. Each floor is separated by gender, and the seventh floor, which is exclusively used for female detainees, contains at least a dozen rooms. On a visit, Kyodo News saw futon neatly arranged in separate rooms and an exercise area that appears to receive ample sunlight. It is, overall, a bright and sterile atmosphere with no rooms that could be described as dingy. “We get a close grasp of (detainees’) physical condition, and sometimes we make suggestions to stop interrogations,” said Miura. Even so, problems such as attempted suicides, verbal abuse and fights still break out in police cells. Buildings are securely locked down, and police officers regularly perform rounds. The cost to the taxpayer of maintaining detention facilities, including for food and health care for detainees, is also growing. In fiscal 2017, about ¥616 million was spent on detainees’ food, while health care costs amounted to around ¥430 million, according to the MPD.